My first mile-long outdoor swim completed. 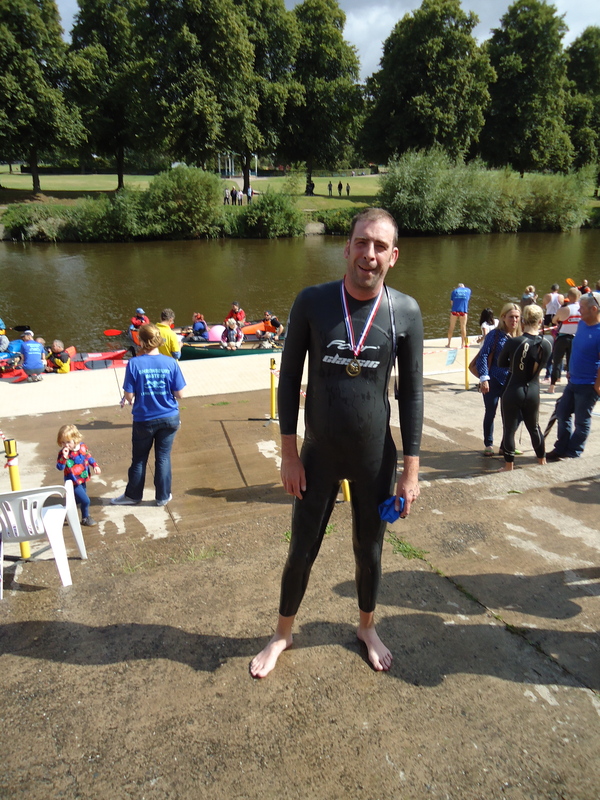 I did it in the beautiful town of Shrewsbury down the River Severn for the Severn Mile Swim. I panicked when I got in and it took a while to calm down and relax into it. More of a type-2 fun this one (more enjoyable after completion) but I’m very pleased that I did it. Oh dear… it’s August and I’ve only got half way with my challenges! This entry was posted in My 40th Blog, Uncategorized by simonjohnparkin. Bookmark the permalink.